Chelsfield employs a wide range of Plowman Craven services when developing its prestigious Knightsbridge Estate. 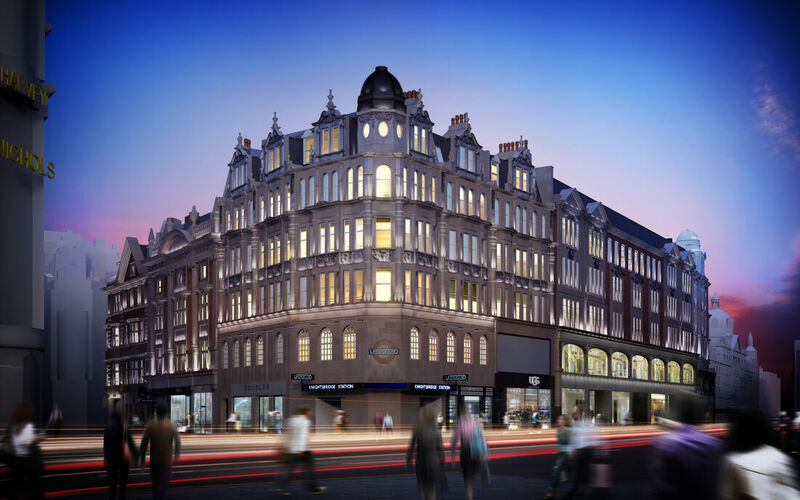 Chelsfield’s plan to create a retail-led mixed-use development behind the retained facades of its Knightsbridge Estate relies upon the provision of accurate measurement data - but not only for planning, design and refurbishing stages. An accurate visualisation and effective marketing tool was also vital from the onset in order to achieve its objective of attracting high-end and luxury domestic and international brands. 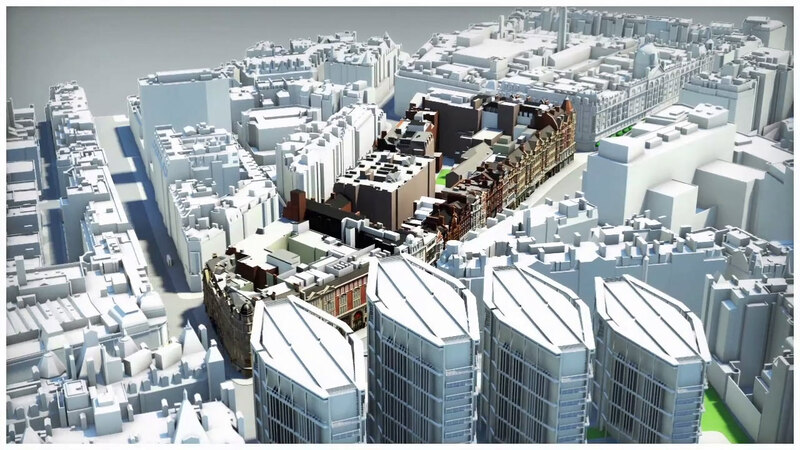 In 2011 Chelsfield commissioned Plowman Craven to undertake a variety of 3D laser scan surveys of the external facades and neighbouring properties. This provided architects Stephen Marshall with a rich source of accurate data to draw from. Having one supplier which fully understands the composition of the estate has meant significant cost savings for Chelsfield. Since then, Plowman Craven has been involved in many stages of the project providing a wide range of services, including liaison with planning specialists and production of CGI visuals. Having one supplier which fully understands the composition of the estate has meant significant cost savings for Chelsfield. Its access to specialist resource continues to offer it the confidence of being able to communicate its vision to a wide audience with the utmost accuracy and effect. A precise 3D model was created for planning purposes and a hi-end marketing tool, complete with individual area measurement references, was created. This proved highly successful and continues to be an effective method of enticing potential tenants. The facility enables the prospective occupier to transport themselves to the development through visualisation without the need to visit the site. Accurate elevation and profile information was extracted from the laser scan data for various requirements, one of which was to enable lighting experts to effectively design and create a £2million external lighting scheme. The lighting configuration was planned using the elevation drawing and then visualised using CGI’s. Measured building surveys enabled feasibility studies to facilitate redevelopment of the northern Sloane block, a 1 acre area of the estate. These surveys of the complex internal elevations provided architects with a clear understanding of the existing structure of the building. Rights of light surveys included elevations, roof and footprint plans of the estate and neighbouring properties. These facilitated analysis for the transformation of the internal space, and provided an understanding of the boundaries in design and any potential for an increase in the number of floors. Underground utility surveys have been carried out to understand the services running underneath the pavement in pedestrian areas. Topographical surveys were carried out in 2014 to update and supplement the 3D laser scan data set previously captured in 2011. A correlation survey provided an accurate understanding of the location of assets relating to the underground station and tunnels, and their relation to the development above. Over the last couple of years, Chelsfield and Plowman Craven have built a relationship. Over this time, the team has demonstrated exceptional performance, demonstrating patience, proficiency and organisation. These are the reasons for the retained business - although the personnel are also a pleasure to work with. There is always transparency (and certainty) over costs and work is always delivered on time.